If you’ve decided it’s time to enlist the expertise of an inbound marketing agency to help you develop your strategy, improve your service offering, and build your customer base, then congratulations – you’re in for an exciting time! There are so many fantastic agencies out there – both HubSpot partnered and others – you just need to ask the right questions to find the one that’s a good fit for your business. You might have identified that you need a great piece of software to help you do this. There are many CRMs out there, and we know some of them do a fantastic job – ultimately, you have to work with one that satisfies your needs and that you feel confident using. 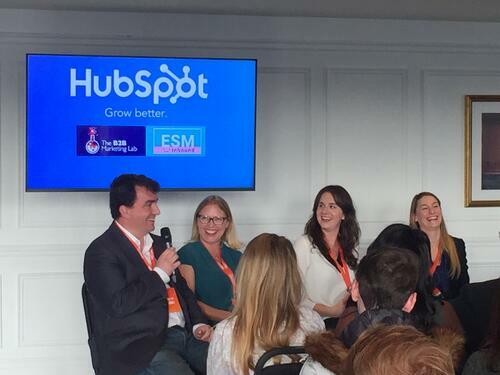 At ESM Inbound, we would choose HubSpot every time. In this post we’ll explore more about why we recommend HubSpot to prospects, what ‘partner agencies’ are, and why the quality of guidance Diamond Partner Agencies offer might just be the tonic your business is in search of. HubSpot offers free software options for marketing, sales and customer services, with a completely free CRM at its core. They promise to keep this CRM 100% free for everyone, forever, meaning businesses are able to organise, track, and build better relationships with leads and customers, yet still keep overall costs low. Marketing Hub: This software helps you grow traffic, convert more visitors, and run complete inbound marketing campaigns, no matter what the scale. Sales Hub: A time-saving sales solution, this software helps you get deeper insights into prospects, automate tasks, and close more deals faster. Service Hub: Customer-service software that helps you connect with customers and turn them into promoters that help grow your business by exceeding expectations. Whether you choose to start with the free software, buy the full offering, or mix and match different hubs to help create a comprehensive suite of services to suit your business, a HubSpot Partner Agency walks you through the whole process. Working with an agency can make implementation far quicker and more focused around your long-term business goals, than if you try ‘going it alone’. An agency will help you gain full usability of the software’s capabilities, develop your inbound skills and, ultimately, enable you to independently manage HubSpot for your business (if that is your target) – otherwise, HubSpot-partnered agencies are happy to work alongside your business for as long as you need. What does Diamond Partner mean? The number of HubSpot clients the agency has managed over time. Reaching the top tier entitles Diamond agencies like us to enjoy extra benefits, which in turn benefits their customers. So by choosing to work with a Diamond Partner Agency, you know you’re getting top advice from experts who consistently meet high targets, and who receive the greatest support from HubSpot themselves. HubSpot implementation means that if you need a helping hand setting up HubSpot, importing your contacts, creating buyer personas, learning how to monitor campaigns and beyond, you can request ESM Inbound’s assistance. Design and development of your website and email is another service we offer: from growth-driven design to more traditional website redesigns, our experienced team will create elements personal to your brand, yet incorporating best-practice strategy. High-performing content creation is a service we pride ourselves on; if your own content team is stretched, or you just want a fresh perspective, the ESM Inbound content team will create pillar pages, blog posts, website copy, emails, content offers and just about anything else you’ve got in mind, all done to your house style. Pay-per-click advertising is a savvy method of internet marketing, essentially buying visits to your site, rather than attempting to gain those same visits organically. Search engine and social media advertising are the most popular; ESM Inbound can help drive traffic to you webpages with PPC. A portal review: an exploration of the data in your HubSpot portal and a general health check. We will also explore other options: comparing the status quo to your business goals and consider a range of solutions. This is followed by narrowing your options: identifying the options that are most effective and achievable for your business. You’ll finish with an action plan: documented in HubSpot Projects, it will allow you to achieve your goals. Coaching is done remotely via video call, but if you’d prefer on-site training for your team, we offer the opportunity for clients to hire one of our HubSpot specialists to visit you for the day to complete a workshop with you and relevant colleagues. During onboarding we will ensure your HubSpot portal, including templates, is configured within the first month. We will help you to get your first inbound campaign launched within a month. You’ll receive coaching with HubSpot-certified experts. Additionally, you will benefit from ongoing support for your first three months as a HubSpot customer. Download our 12-week onboarding workbook to find out more about what to expect. We will build you a brand new website built on the HubSpot CMS. We can create smart features so, depending on previous behaviour, different visitors will see different pages, images or text on your site. We will create a custom design unique to your business, using your existing branding and style guides. We’ll train you and your team so you can swiftly and easily make changes to your website in HubSpot. We offer a wealth of advice in our blog, from inbound marketing articles to walk-through tips on how to utilise HubSpot to its maximum effect. 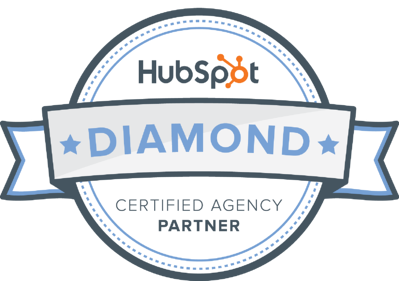 As a Diamond Partner Agency, and because of our dedication to our customers, our growth and close ties with HubSpot, we are able to offer an extensive range of services. If you don’t see the service you require above, why not select ‘other’ in the drop-down menu in our ‘Send a Task’ form, or schedule a call with us at the bottom of this page? One of our experts will get back to you shortly, and we can start the discussion about what you need and how ESM Inbound can deliver it for you. 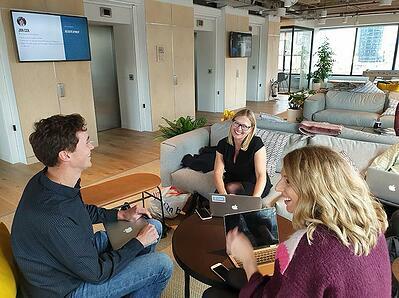 Working with a HubSpot Diamond Partner Agency might not be for everyone – indeed, we aren’t trying to be a 'Jack of all trades'. We want to service businesses seeking strong and fast growth, those who are open to investing in HubSpot or who have already done so and just need some extra guidance, and those who are open to learning and trying new approaches to marketing, sales and customer service. Sound like you? Drop us a line – we can’t wait to work with you. Do you need to create a workflow, send a marketing email, design a landing page or publish a blog post? Trust a Diamond Partner with your tasks by sending them to ESM Inbound.